These two windows face out to our backyard. 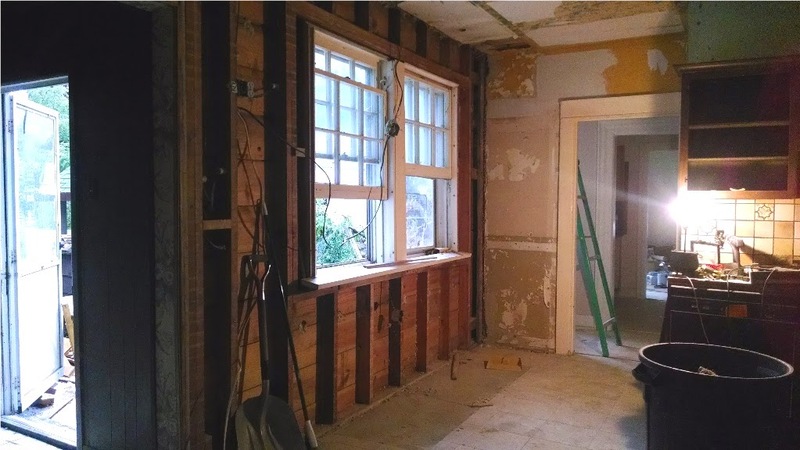 This area has gone under a large amount of renovations! This is "THEN" and "NOW" because it isn't done yet. If you look closely at the top left, the walls haven't gotten a proper coat of paint yet! A new sponsor on Kammy's Korner! 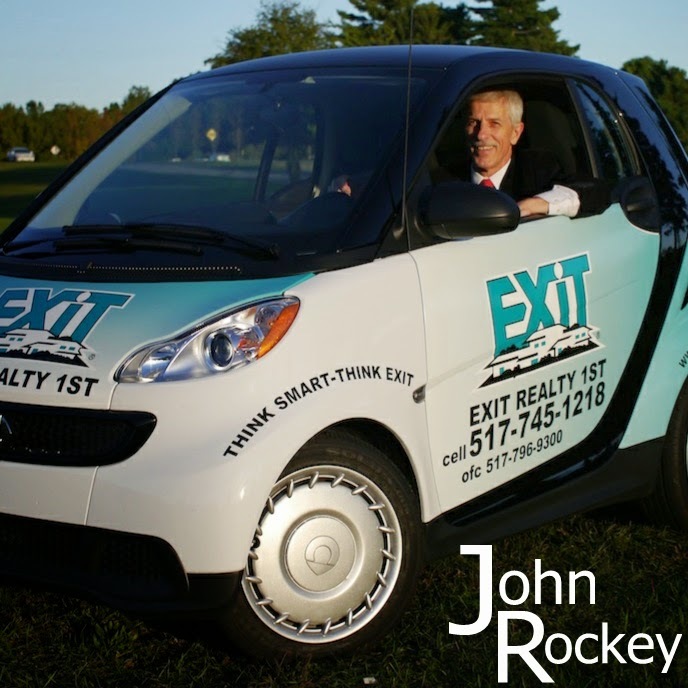 Meet John Rocky, a great man all around and an equally great real estate agent! I know from first hand experience, that John Rockey is a top notch Realtor. Highly recommended if you are looking to buy or sell a house in the Jackson, MI area! On to less important stuff now. Like kitchen makeovers. We went easy on the budget and purchased the in-stock countertops at Lowes. Thanks for all the hard work, Dad and Joel! I love this counter because it's midget friendly for me - a good five inches lower than the rest of my counters! When you're 4'10", that makes kneading dough much easier! Hanging light is from Lowes. Of course, our holes always seemed much bigger aounnd then the plate at the top of the fixture, so we bought quite a few of those decorative medallions to hide that sort of stuff! Three pink carnations from Granny Baker's funeral that her granddaughter pulled out of a bouquet for me as I got in my car to come back to Michigan. Perfect spot for the garbage cans since I don't have one of those handy-dandy slide out ones hidden in a cupboard! One for burnables and one for non-burnables. Nope, I'm not very "green". Not sure this frame gets totally washed out with this all the white, but for now... it's hanging on the wall! Love the vintage print, passed down to me from my mom. A parting "then and now"! I'm not saying "before and after" since it's not really finished yet! Wow, that is really beautiful. 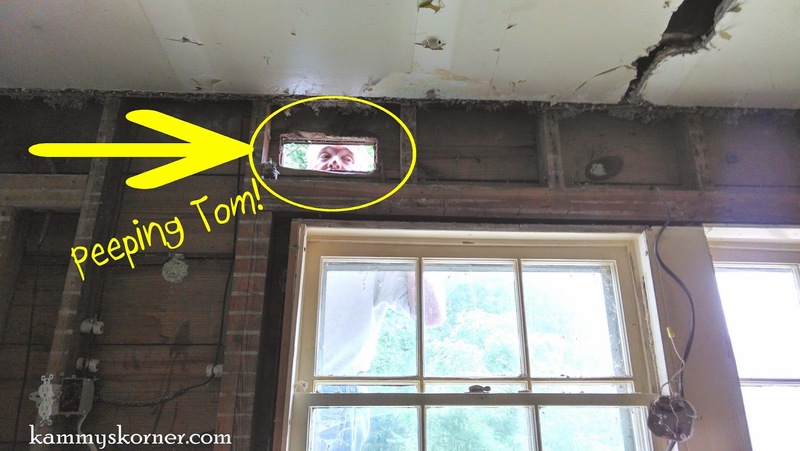 Love your big windows with a view! 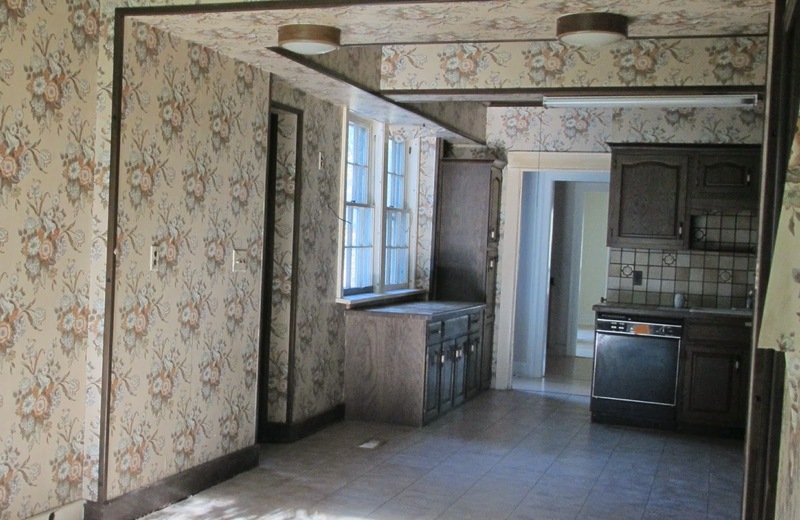 I really love old homes. They are work but so worth it when you have it just like you want it to be. What a difference! It looks beautiful. I love what you're doing and look on with deep interest! What a lot of work, but so rewarding! 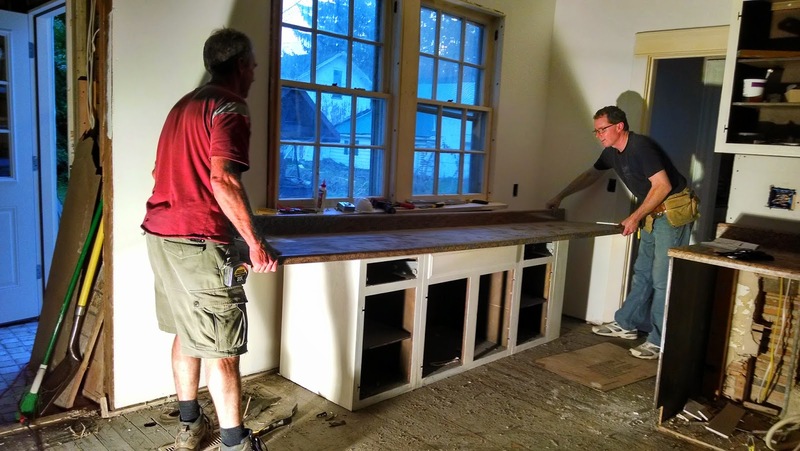 Renovating kitchen is sometimes fun and exciting. 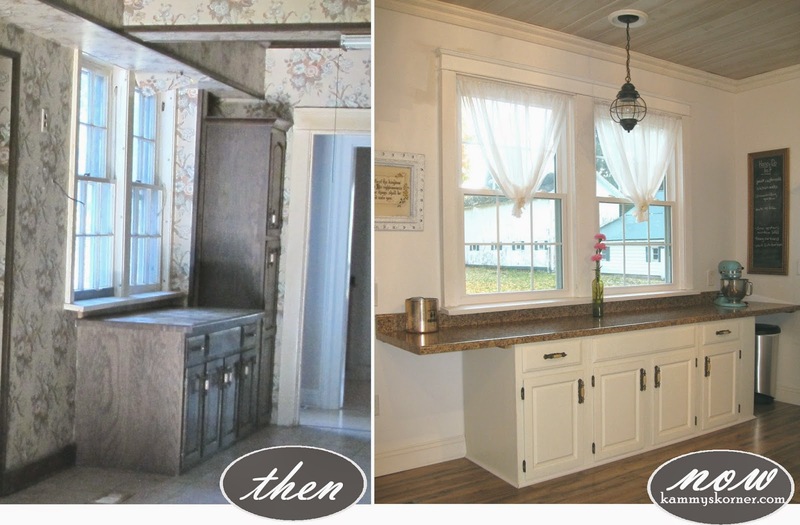 I have recently replaced my kitchen cabinets and countertops with Granite Countertops Co Springs and I must say my kitchen looks more attractive now and inspire me to spend more time there. Such a change - very nice. 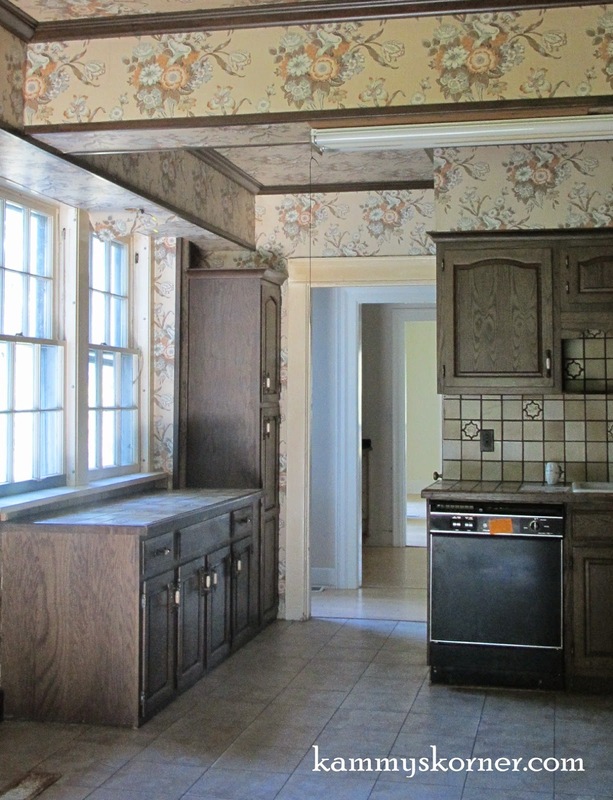 Since the kitchen is the hub of the home, you've got to be so excited to have your kitchen redone. Wow! What a difference. I am in love with your ceiling!